We’ve completely re-designed Forms, to make it easier (and more fun!) to create stunning opt-ins that will engage new Subscribers. 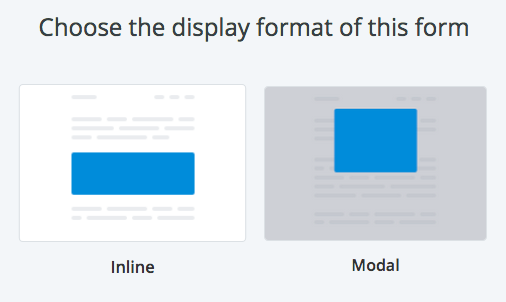 Inline Forms will appear in one position on a page where they’re embedded, modal Forms will appear over a page (like a pop-up), and slide in forms will slide in to your page! Next, choose a template. This allows you to further customize how your Form displays to your Subscribers. You can choose between the Minimal, Clean, and Full styles. Start editing your Form and the Settings bar will swing open. 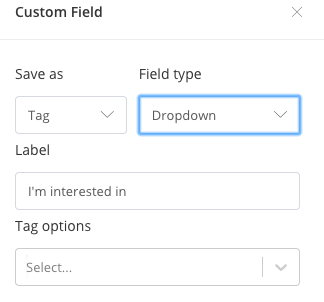 As you click through the heading, description, fields, button, etc, the Settings in the sidebar will reflect your selection and the settings available. Depending on your selection, you can adjust the font color, font size, font weight, background color, button color, border color, and border radius. (The border radius adjusts the curvature of the button, and the Form’s corners). Want to add even more magic with Custom CSS? Check it out here! Here you can choose what happens after a user subscribes to your Form. You can choose to show a success message, or redirect the Subscriber to another page! You may know this as a Confirmation Email, as well. This is the email that sends when someone subscribes to your Form. You can choose to turn this email off, for a single opt-in process, or you can turn it on, for a double opt-in process. 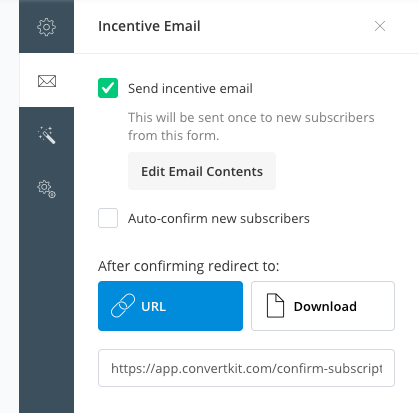 All new Forms start with the Incentive Emails turned On. Finally, you can choose to turn this on, but auto-confirm users as they subscribe. This is also the place to upload a lead magnet file, or redirect to a page upon confirmation. You can completely customize this email to make it about your download, incentivizing your Subscribers to confirm! 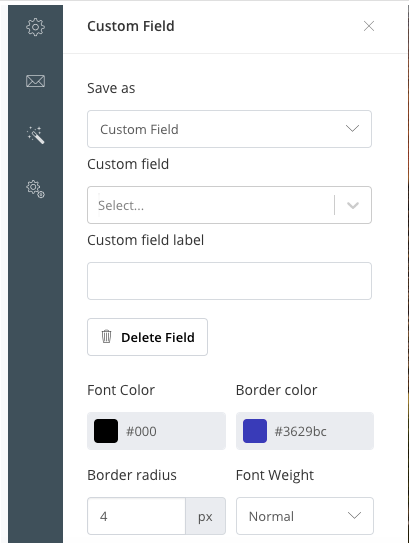 You can change the background color of a Form or add a background image with just a few clicks! Clicking on the Form fields or subscribe button opens even more possibilities. You can customize the font color and weight, the border color of the field boxes, and the color and text on the subscribe button! 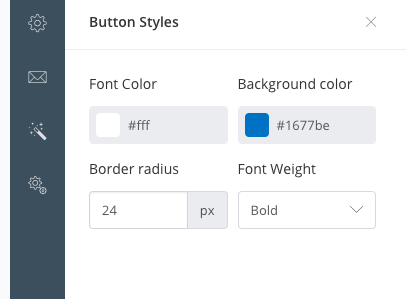 Just click on what you want to edit and the style box will update with the appropriate options. 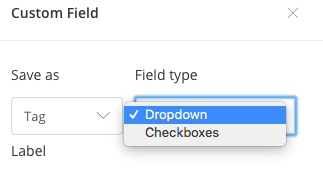 You can now add custom fields directly to your Forms! Clicking the plus icon above the subscribe button creates a new field. 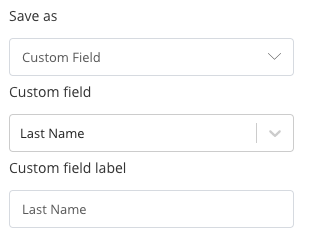 When a Subscriber enters information into a custom field, it will be added to their Subscriber profile! You can now Tag Subscribers directly from your Forms. 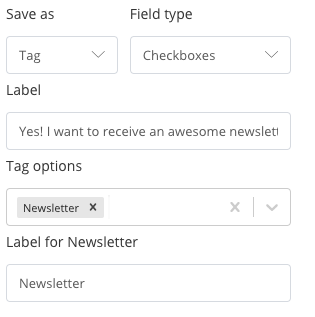 If you choose a checkbox, fill in the Label with the text you want displayed above the checkbox, and select the Tag that should be added when a Subscriber checks the box. Across the top of the page, you'll see a white toolbar with Form Settings and options! The Preview function allows you to see a live version of the Form. In fact, it’s more of a ‘view’ and less of a ‘preview’. The Preview function works just like a live Form, and will allow you to test a sign-up with a test email. If you choose the HTML option, please note that you will need to re-copy + paste to your site when you make changes to your Form. If your site is run on Wordpress, you can use our Wordpress Plugin to add a Form to your site. Once the Plugin is installed, you will also have the option to use a ConvertKit short code to place your Form on a page. The Reports page lets you see how well a Form is performing by comparing visitors, (those who have seen the Form), and Subscribers, (those who actually enter their details). The conversion rate is the percentage of visitors who subscribe to the Form. A Landing Page serves the same function as a Form, letting Subscribers opt-in to receive your content. However, instead of just being part of a page, a Landing Page is a whole page! You can embed a Landing Page on your own domain with Wordpress, or we can host it for you! We now have 18 different Landing Page templates to choose from! So you will be able to find the perfect fit for your next product launch, webinar, or course.